I always used to love smocked dresses, gowns etc but I never got a chance to try it. Recently I got the elastic thread, needed for this purpose and then I couldn’t wait to try my hands on smocking. I was searching for something very simple to do for the first time and that is when I happened to visit Zura’s blog. 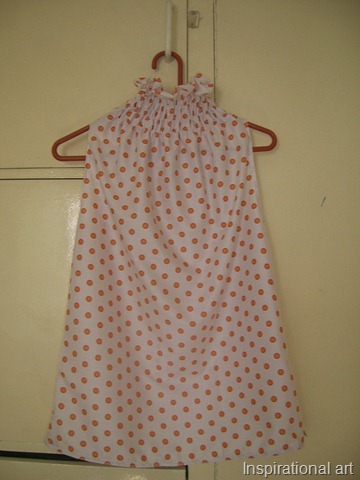 She has given a nice and simple tutorial on shirring, and I thought this is what I would try doing. So here’s what I did…. I am sorry the pictures are not very clear…. But I couldn’t wait to blog about this achievement of mine. I have just done a few smocking lines on the neck of this top. But next time I can confidently do something more challenging. The fabric also is not a very good one, since I dint want to risk any of my cherished fabrics. Don’t you all think its ok for the first time trial….. Thank you Zura for this tutorial….. For now its adieu from me. Thank you, so… much Zura for your lovely comment. Preeta wow i am ever so proud of you! 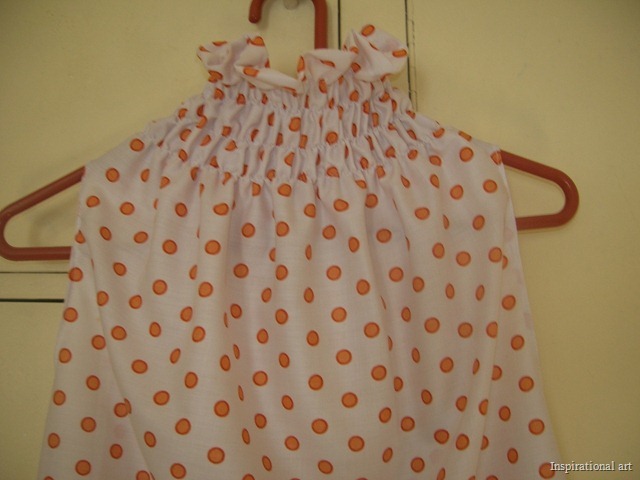 The top looks gorgeous i have yet to try shirring myself WELL DONE! Thank you Mayya, All your earnest comments encourages me to continue learning new things and improve my sewing. Pls keep encouraging me….